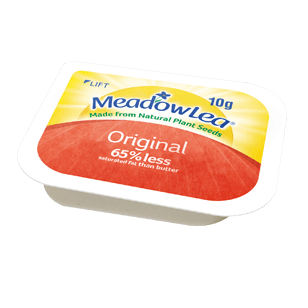 Meadow Lea Original Portion Packs contain 65% less saturated fat than butter, have no artificial colours or flavours, and are a source of Omega-3. The portion control packs are a great addition to any venue due to their ease of use. 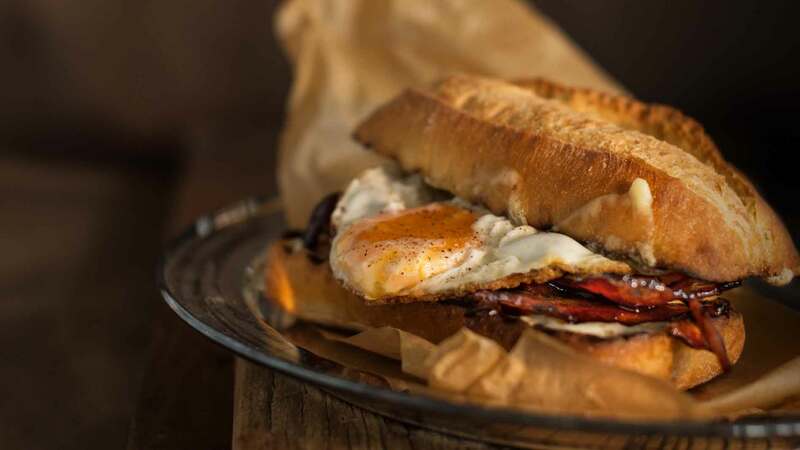 Vegetable oils (sunflower oil 36%, canola oil 21%), water, salt, skim milk powder, whey powder, emulsifiers (322, 471), food acid (citric), colour (beta-carotene), flavour, vitamins A & D.
Serve with breakfast meals or dinner rolls.